While Trooping the Colour one of the most anticipated events in London in celebration of The Queen’s official birthday, this year’s event has had many firsts, which makes it quite memorable. Here are the highlights. 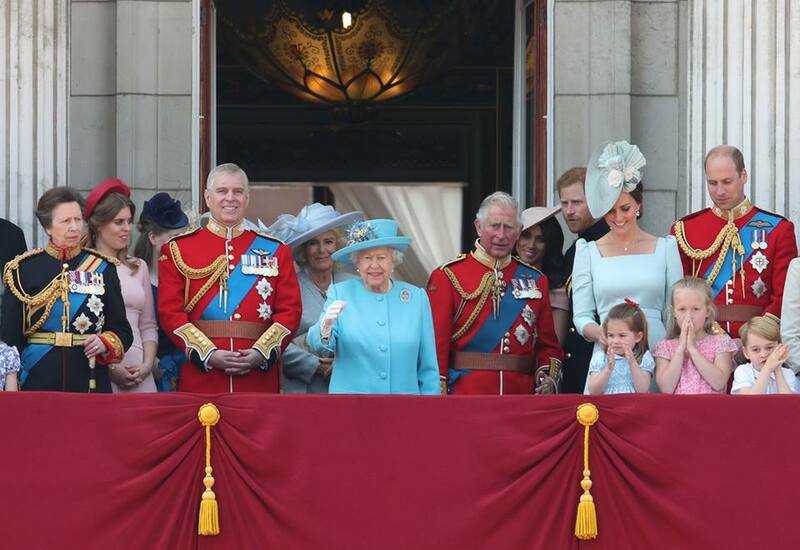 Having only married Prince Harry last May 19, this year’s Trooping the Colour marked the first time that Meghan, Duchess of Sussex, joined in the carriage procession and joined in the traditional balcony appearance. The Duchess of Kent, long retired from public duty, has graced her presence in two high profile event this year, first during the wedding of the Duke and Duchess of Sussex and then at the Trooping the Colour. The Queen’s second son took over Prince Philip’s post as Colonel of the Grenadier Guards following the latter’s retirement. He took riding lessons ahead of the event where the rode on the horseback behind The Queen’s carriage alongside Prince Charles, Prince William and Princess Anne. Prince William, who is a Colonel of the Regiment, also joined in the horse parade, wearing the same uniform he had during his wedding. This year’s Trooping the Colour parade included 200 horses, 400 musicians, and 1400 soldiers. The fly-past featured a total of 23 aircrafts courtesy of the Royal Air Force. Prince Harry was seen on a carriage with his wife, Meghan. Unlike Prince William, the Duke of Sussex didn’t make his own horse ride since he was not yet a colonel. But, just like his brother, he sported the same dress he wore at his wedding, a uniform reflecting his Household Division role as Major in the Blues and Royals. The Duchess of Cambridge was seen joining the Duchess of Cornwall in the carriage, and they even wore complementing outfits! Even at a young age, Princess Charlotte was a scene stealer during the fly-past, energetically applauding and waving at the aircrafts as they traversed the skies. Colonel of the Life Guards Lord Guthrie unfortunately fell from his horse while on his way back to the Buckingham Palace. The 79-year-old field marshall was immediately rushed to the hospital. Noticeably absent were the Earl and Countess of Wessex who were on an official trip to China. The Duchess of Gloucester and Princess Alexandra were also nowhere to be seen at the balcony appearance. Zara, Mike and Mia Tindall were also missing. Princess Anne’s daughter is due to give birth any day now.